My youngest child just turned three, which is bewildering. Honestly, how did she get so big so fast?!? 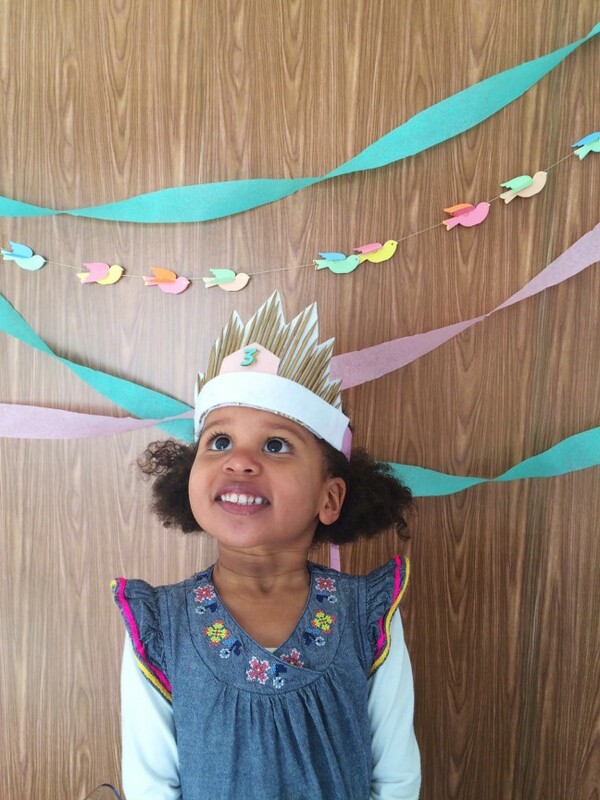 I wanted to send her into the threes in style, and this DIY starburst princess birthday crown was the perfect topper for her curly little head. The power of the crown clearly went to her head. She hopped up on this chair and proclaimed, “I’m taller than everyone! Mwahahahaha!” Live it up, my girl. 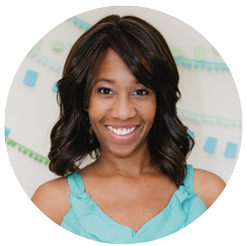 It’s your day! 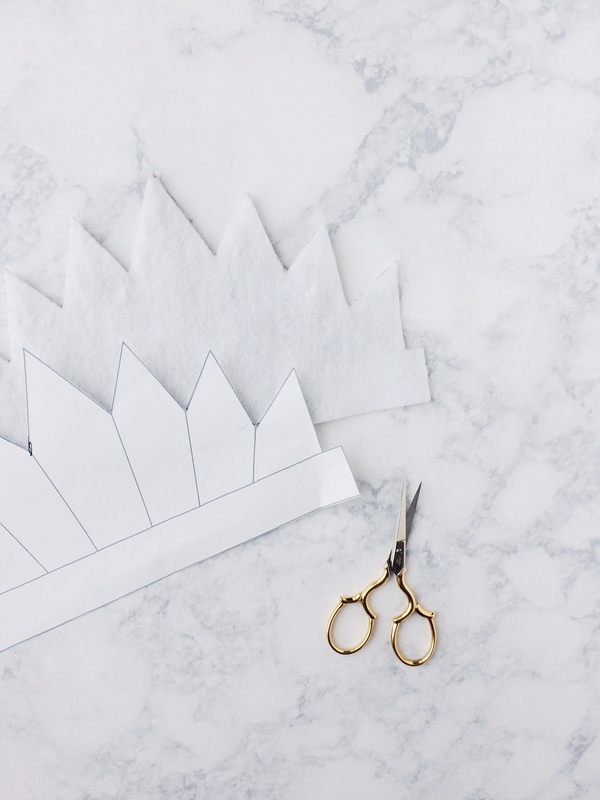 Step 1: Print our printable starburst crown template, and cut just outside the perimeter lines. Do not cut along the lines between each prong of the crown. Step 2: Using a fine-tip marker, trace the crown template onto the white felt sheet. Cut out the felt shape and set aside. 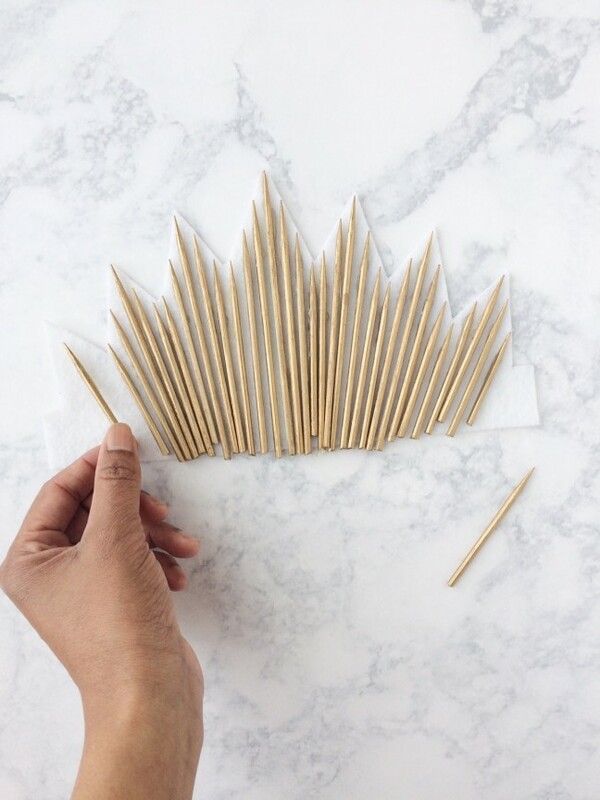 Step 3: Spray paint 40 wooden skewers gold. Allow to dry, roll over each skewer, and paint the other side. Set aside to dry. Step 4: Using hot glue, attach each skewer to the felt crown. Allow to cool. 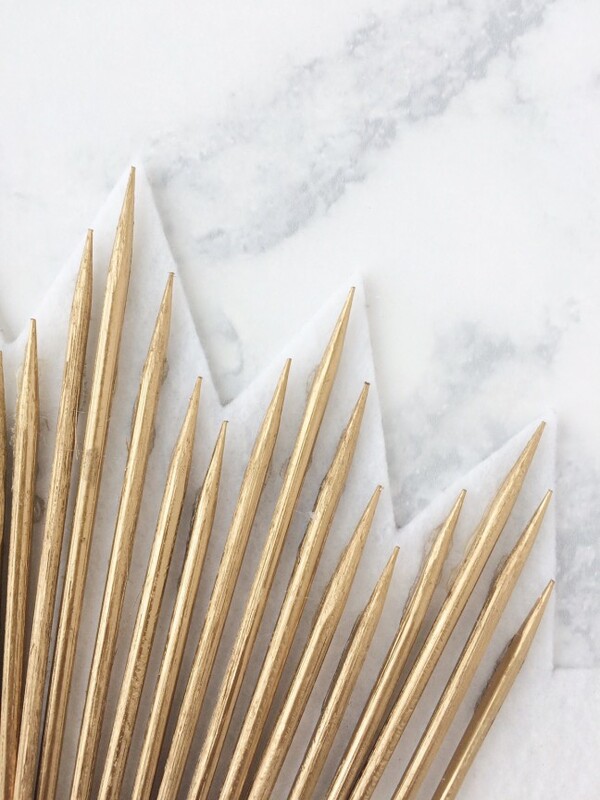 Trim the bottom of each skewer to fit the crown’s height. 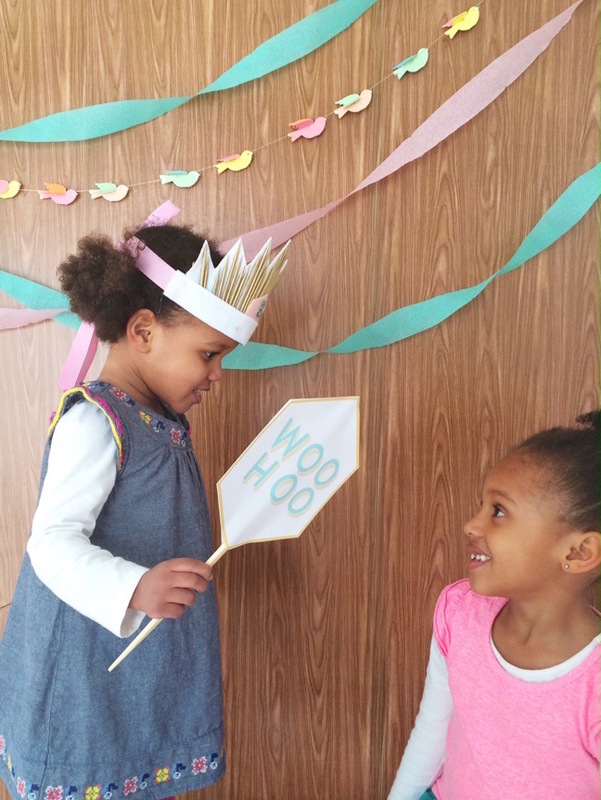 Cut and trace the birthday number and hexagon shape from the printable template onto scrapbook paper. 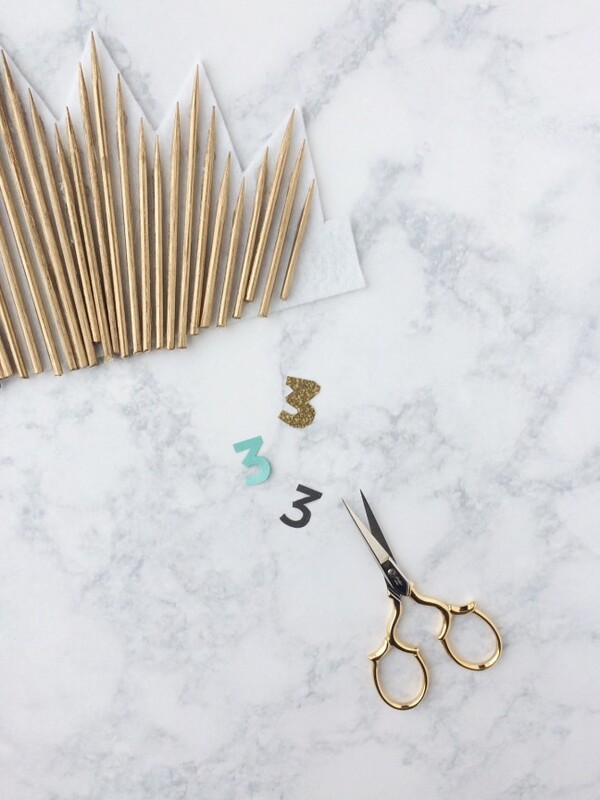 Trace the number onto gold paper. Cut off the diagonal-lined part of the number, and trace around the solid number on aqua paper. Step 5: Layer the hexagon, number shadow, and number in the center of the crown. Glue into position with hot glue. Cut a 1″ strip of white felt, and glue on top of the hexagon and numbers. Glue a length of 1″ ribbon between the felt strip and the felt tabs of the template. Set aside to cool.